Over the last 6 years I have shared triumphs and disaster with accompanying (hopefully) photographic evidence. My photography has improved significantly over the years with the help of online tutorials and online friends. My blog layout has changed several times and this desire to create a lovely home online kept pushing me to learn more about websites. Following tutorials blindly has made me understand some of the basics, which helped improve the appearance of things. I've made wonderful friends and challenged myself repeatedly. As the online world changed I took to different forms of social media, moving from Twitter and Facebook to Flickr and Instagram as I learnt about these different forms of connection and my technology caught up. I started to design because someone saw a bag I made and asked for the pattern. I didn't have one because I just made it up. I said I could give her the chart but nothing else. She was happy with that but it made me think about the possibility of other people actually being interested in what came out of my head. 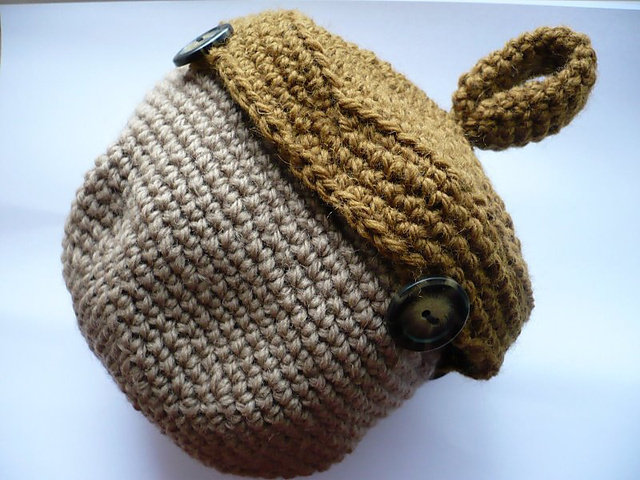 Very slowly since then I've added extra patterns to my shop on Ravelry. 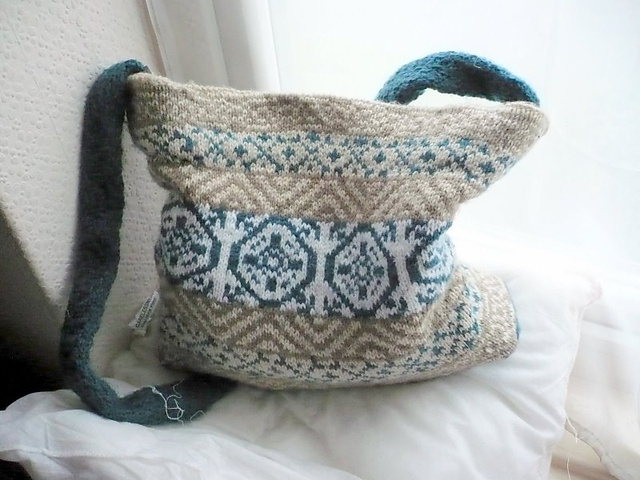 As time went by I started a Ravelry Group and then after a while I discovered sewing as I started to line my knitted, crocheted or felted bags. 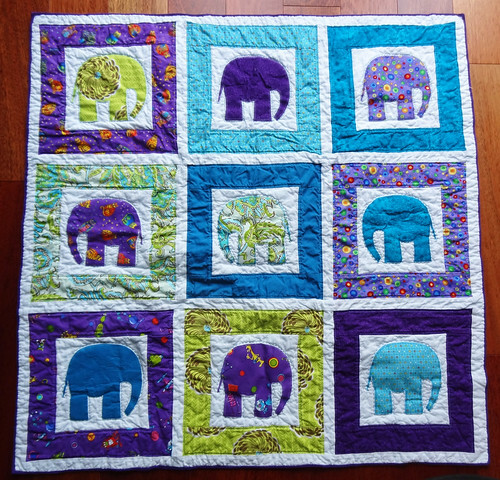 As my love of sewing increased I managed to join a quilting class. This is the only quilt I've managed to finish to date. As I got a more sick I found it a struggle to sit up at the sewing machine and in fact I struggled to even get out of bed. I discovered podcasts as something to listen to or watch on my laptop in bed. My blogging fell off as I found it hard to take photos. I discovered support spindling by watching the podcasts and my spinning career took off. Being able to spin laying back was a wondrous thing and I fell in love with it. You will have noticed my obsession with spinning over the last couple of years, I think ;-) After watching and listening to podcasts I decided to start my own, at first in audio format and more recently video. I also started to change my medication levels and I could get out of bed again. I tried to pick up my blogging. Sadly with the advent of social media it seems fewer and fewer people comment on the blog. 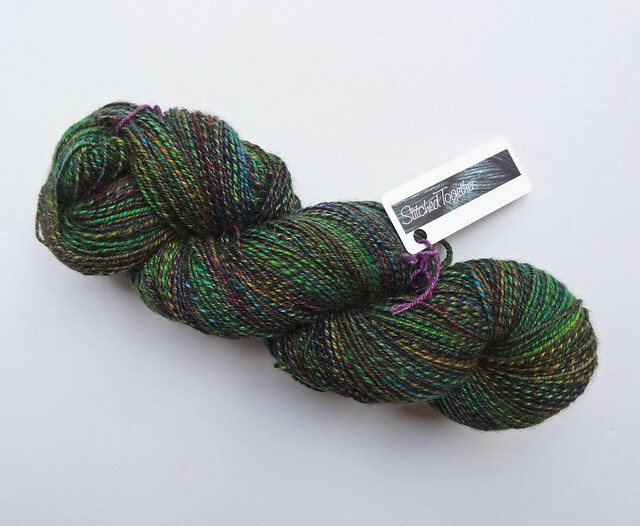 Most of the connections I experience are on Instagram or Twitter or over on the Ravelry Group. I miss my blogging friends and try to leave comments on their blogs whenever I can, but it seems that because of the change in feed readers available it's now just slightly annoying to leave comments, so people don't. I know you are still reading my blog, which is part of why I continue, but this online record is much more for me than you. It's wonderful to look back at my journey and to force myself to really think about each project and what it taught me. To celebrate this blogging birthday I have decided to offer a 25% discount on all my patterns for this weekend only, the code will stop working at Midnight UK time on Monday 22nd September 2014 . The code is STBB6, which you should input in the cart where it says discount code. Thank you for sharing my blogging journey, I wonder if I'll still be here in another 6 years!